What do you do after you work hard and earn pretty good money? Me.. Traveling! :) Well, it's nice to get new cameras, or lenses, or those fancy purses, but traveling will always be my first choice. This was a trip I did way back in April after I had gazzilion Cherry Blossom's sessions. I always wanted to go to Myanmar despite what the media said about Myanmar with the Muslim Rohingya. When I told my solo travel idea to my awesome husband, he only said, "Why Myanmar? ", I replied, "Why not?". Yes, why not? I could feel that he didn't 100% agree with my Myamar's idea because of so many variables; yet he knew I'd still do it anyway. Now let's start at Yangon! After I had a looong layover at Taipei, I arrived at Yangon airport a little bit after 11 a.m. It's a small, yet nice and clean airport. I was smiling as I saw most of the men were wearing saroong. I meant, Indonesian also wear saroong, but not in those 'official' times/occasions. I saw the Shwedagon Pagoda and Kandawgyi Lake on my way to the hotel. I personally didn't expect that Yangon could be that 'clean'. After checking in and taking a short rest at the hotel, I wandered around Chinatown. It was HOT, humid, and dusty. Gah! There were so many interesting things around Chinatown. 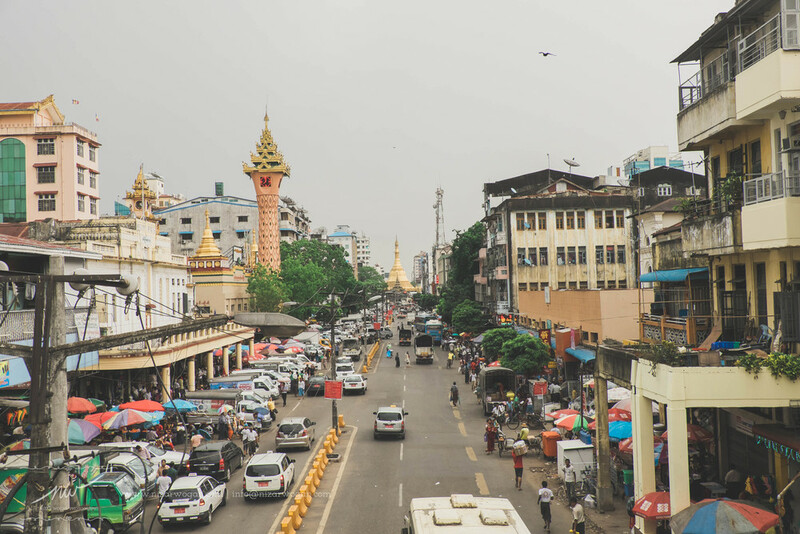 As a Muslim myself, I was surprised to see lots of Muslims around the area - well, actually I was surprised when I was at the Yangon Airport and saw so many Muslims. On my randon walk, I found a masjid (and later two other masjids) that was not too far from the hotel I stayed at. It was Friday, and everyone was ready to do the Friday prayer. Most of them who were ready to pray were staring at me, but a few others were asking where I came from. I continued to walk around. I then went to the Sule Pagoda. Don't shoot me, but somehow it looked better on pictures I saw online than that day, to put it mildly. 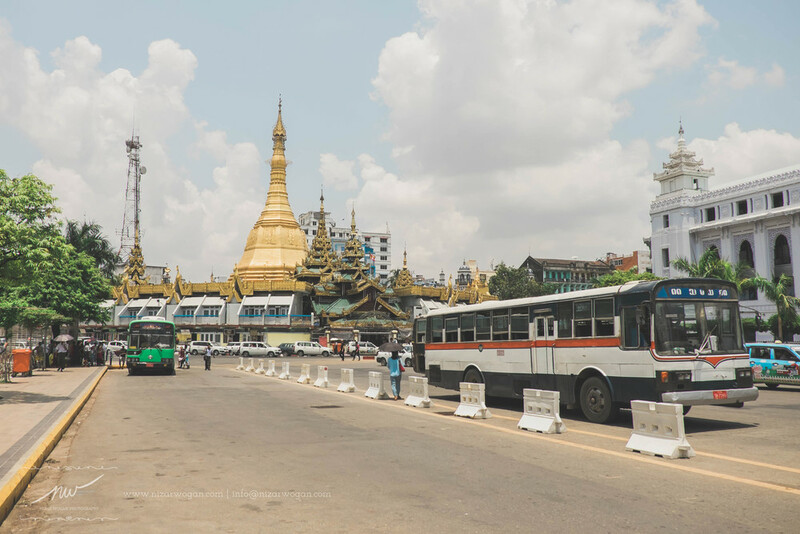 Maybe because the heat and the dust :) The area around Sule Pagoda was pretty cool. 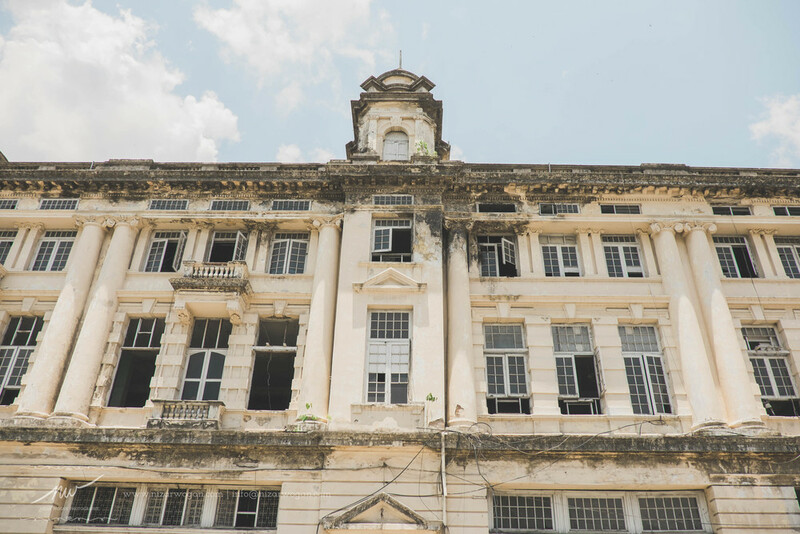 Some buildings around looked like European buildings, which understandable as according to the history, Yangon was established when British invaded Myanmar at 1850s. After done looking around the Sule Pagoda area, I went back to my hotel. It was little bit close to evening, hence there were more street vendors around. You shall not miss the 19th street at Chinatown, as it's the food heaven there. I, myself, didn't care that much as I don't eat pork which mostly what they serve there. I got some roti canai from a Muslim Indian street vendor as my dinner. I know, Indian food in Myanmar doesn't feel right, yeah? But if you do not have any food restriction and a fan of barbaque, you definitely need to go to the 19th street!